TEAM RESOURCE PRESENTS AT SCAD! 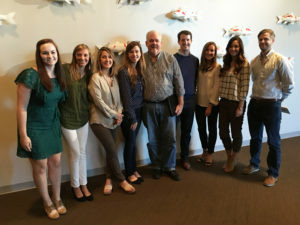 Resource was pleased to spend an enjoyable morning at SCAD Atlanta Digital Media Center presenting our thoughts on branding to a classroom full of young design talent. Here we are after the presentation in front of the GREAT WALL OF KOI. Many thanks to Karen Chesney, Professor of Computer Art for reaching out and inviting us over for the visit and the tour. We look forward to many, many more opportunities to contribute!